Consumer affairs programme. HIV testing, protecting elderly relatives from scams and getting your money back from energy suppliers. 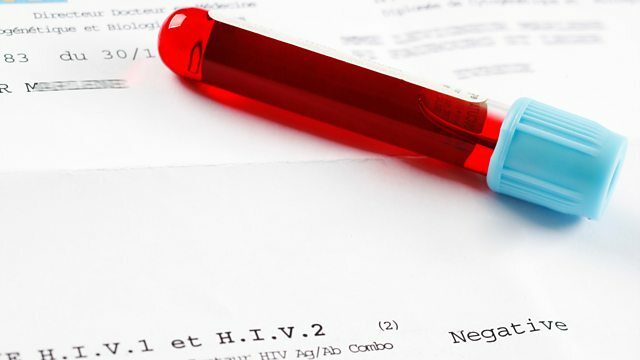 An investigation by You & Yours has found that hospitals and GP practices in England and Scotland are flouting guidelines and failing to carry out routine tests for HIV. Health charities are warning that it could be causing needless deaths and putting the wider public at risk. Modern treatments allow most people who are HIV positive to live long and healthy lives, with little risk of passing it on to anyone else. Best practice guidelines agreed by a raft of UK health organisations say patients in areas with high rates of HIV should routinely be tested when registering with a GP or being admitted to hospital. But research carried out by You & Yours, suggests that the majority of local authorities are not funding the tests. If an elderly relative starts to spend money irrationally, or in a way that is out of character, what powers do you have to intervene and stop them? You & Yours has heard from one woman who was worried about her father's spending and when she eventually gained Power of Attorney over his affairs, discovered that more than £10,000 had disappeared from his bank account. We investigate what people can do if they feel their relative is becoming vulnerable to scams. More and more You & Yours listeners are getting in touch to tell us how energy suppliers are hanging on to large amounts of their money. If people build up a large credit on their gas and electricity account and ask for a refund, then energy firms must pay up. But they aren't required to let you know when your balance becomes excessive. We have heard from people who discovered their energy supplier was sitting on two or three thousand pounds of their money. Call You and Yours: What is your train journey like? Hospitals and GPs are widely flouting national guidelines on routine HIV testing. Can power of attorney help protect friends and family against scams? Who is the You & Yours listener who is owed the most by their energy supplier? Why don't more young doctors want to become GPs or psychiatrists?